If the tone of U.S. politics and headlines about internet trolls and nasty comments and bad behavior by people who are supposed to be our leaders and representatives have you worried about what sort of example all this uncivil behavior is setting for kids, you are not alone: A national survey released by Sesame Workshop in October 2016 shows that kindness is certainly on the minds of many parents in the U.S. 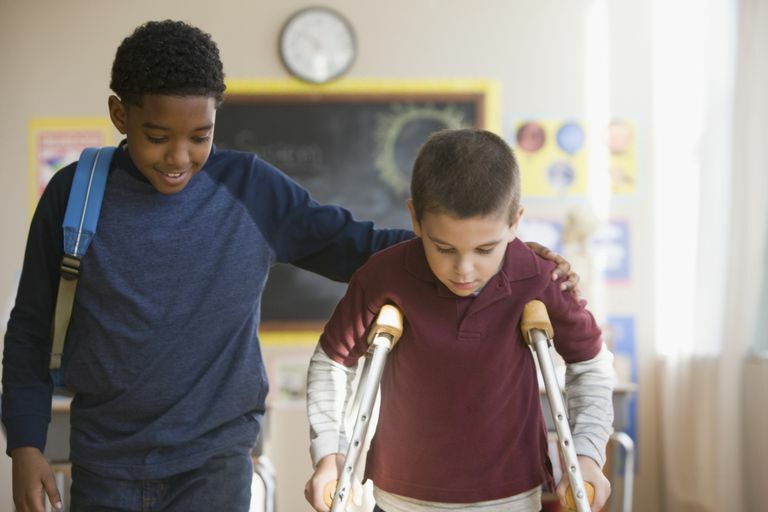 The survey, called “K Is for Kind: A National Survey on Kindness and Kids,” found that almost three-quarters of parents and nearly four-fifths of teachers often worry that the world is an unkind place for children. According to the survey, parents and teachers are worried that people don’t go out of their way to help others, and they also believe that kids need strong social and emotional skills in order to do well in life. Characterizing their mission as one that helps children everywhere “grow smarter, stronger, and kinder,” Sesame Workshop decided to explore the issue of kindness as an issue that’s important to children and families this year. They chose to focus on kindness because of the “increasing number of news stories on anger, fear, bullying, and violence, as well as an overall sense of negativity permeating social discourse,” and because of research showing that narcissism is increasing and empathy is declining. But while parents' and teachers' focus on the importance of kindness is good, there seemed to be a bit of a disconnect as to what kindness means. Parents said that being polite was more important than being considerate or helpful (empathy) while teachers put empathy over manners: When asked, "Which of these is more important for your child to be right now?" Fifty-eight percent of parents chose manners compared with just 41 percent of parents who chose empathy. Among teachers, 63 percent said that empathy was more important compared to 37 percent who chose manners. Parents, on the other hand, said they are actively teaching their children kindness: As many as 75 percent of parents reported that they talk to their children at least a few times a week or more about seeing things from other people’s points of view, and 88 percent said their child is kind. So what does this all mean for parents, teachers, and kids? There is a wealth of evidence that social and emotional skills like empathy and kindness are important for kids' success. (It makes sense—after all, who wants to work with a narcissist and bully on their team at work or be friends with someone who only cares about herself?) Parents, teachers, and everyone can do their part to help kids be respectful, kind, and thankful and learn good manners as well. If we can help today's kids learn to respect each other, there may be hope for the future yet.